Many small business owners are adopting POS systems to provide a seamless purchasing process for potential customers. With 44% and 33% of shoppers using debit and credit cards respectively, brick-and-mortar retailers and businesses face growing competition with e-commerce giants, which is why they should make purchases as easy as possible. This full-service countertop POS system is ideal for larger retailers and restaurants that would like to integrate their entire organization into one seamless process. It can accept payments, print out receipts, track your inventory, manage contact information, record employee time and scheduling, process gift cards and customer rewards, just to name a few key features. If you need to bring the register to your customer or take their orders, the Clover Mobile combines the Clover Station’s best features with a sleek mobile format. Whether you operate a mobile retailer, a food truck, or are a service provider, you can take the Clover Mobile with you, wherever you need to go. If your business isn’t mobile, but doesn’t have the space to house the original Clover Station, the Clover Mini is the right product for your company. Its small package, tip functionality, and potential for scalability is perfect for small to medium-sized businesses that would prefer to display their products or offer their services, rather than make room for a large front desk. For the ultimate mobile POS solution, this tiny rechargeable handheld device is the ideal way to collect payments. 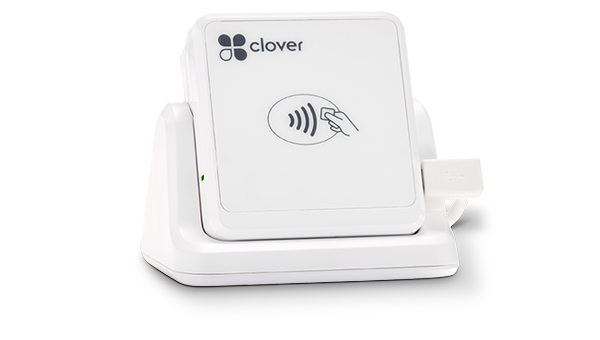 It can be used as a stand-alone product or to connect to any other Clover POS systems, and provides paperless receipts to customers via email or text. As long as you’re linked to an internet-connected mobile-device, there’s no limit to where you can take the Clover Go! If you’re looking for a new POS system, look no further than American Verification Processing Solutions. We have the right solution for your company’s needs. Call us at +1 (800) 719-9198 or contact us online for more information today!